This is a great bonnet for the upcoming holidays for kids and adults. I didn’t knit this hat, however it was a surprised gift from my husband’s Aunt. We got this amazing Acorn Hat hangs outside our mudroom. I’ve seen my MIL knitting one for her youngest daughter and she was planning to knit for the kids, since Chaos got one she doesn’t need to knit him one. He loves his new hat and wore this during our Bowling League the same day. I bet your son loves it too! So adorable! That is adorable! I wish I know how to knit. That hat is adorable! I used to crochet when I was younger. I made all kinds of stuff. 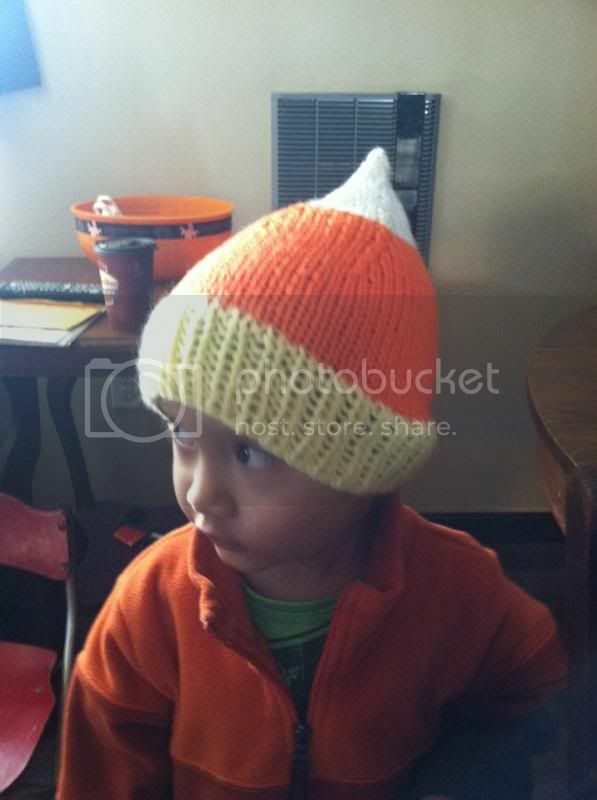 It is one cute hat and would be perfect for the next Halloween. I don't need, but I do crochet and I have been making quite a few crochet hats last fall and winter. So cute! i wish my kids wears hat. they do wear on sometimes, only it doesnt last long on their heads.